Front door sets with side panels have become a popular choice by home renovators and builders, who are looking to add a true grand entrance style front door to their properties. 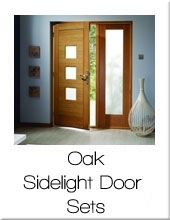 At Modern Doors we have a wide range of external door sets with sidelights in engineered oak, hardwood and also in composite grp material, in contemporary, classic and traditional styles to satisfy all tastes and budgets. All our sets are supplied as complete self-assembly packages, using off-the-shelf components which means lead time is short (4-6 days) but our sets have a decent size flexibility, making it suitable for variety of opening sizes. 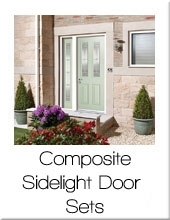 Please note composite door sets will be more suitable for narrower openings, they also require almost no maintenance and are supplied finished (apart from frames). 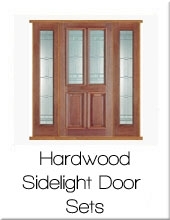 All our front door sets with side panels are supplied with standard 10 years manufacturing guarantee. Please browse through the range using the 3 categories below, but if you need advice or further information, please call our sales team on 020 3150 3103.